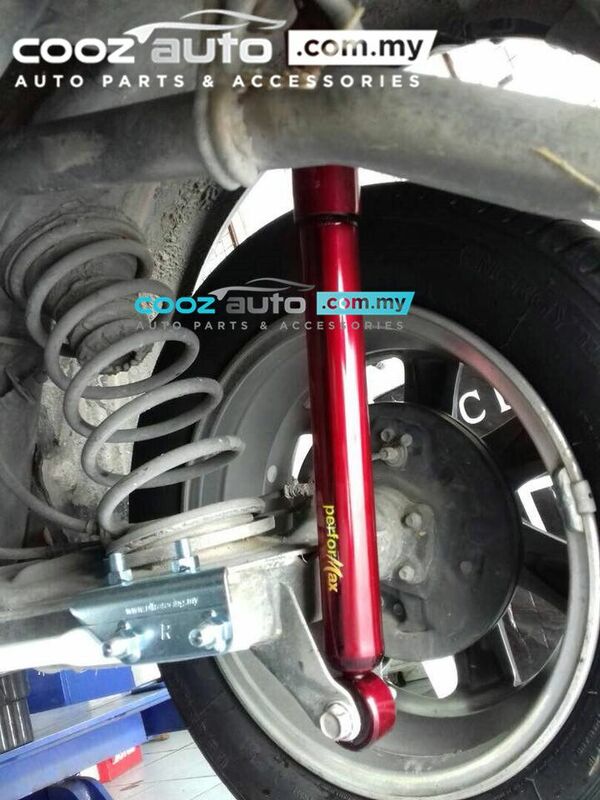 High performance handling with road hugging stability at high speed. 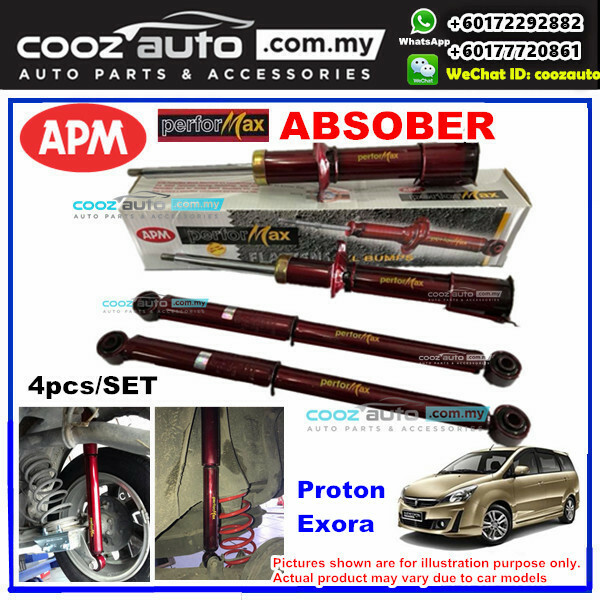 Sensitive vibration absorption at low speed. Eliminates bottoming and provide a firm and comfortable ride. Prevents vehicle nose diving while braking. Going over bumps is a cruise, an ultimate Bump Buster. 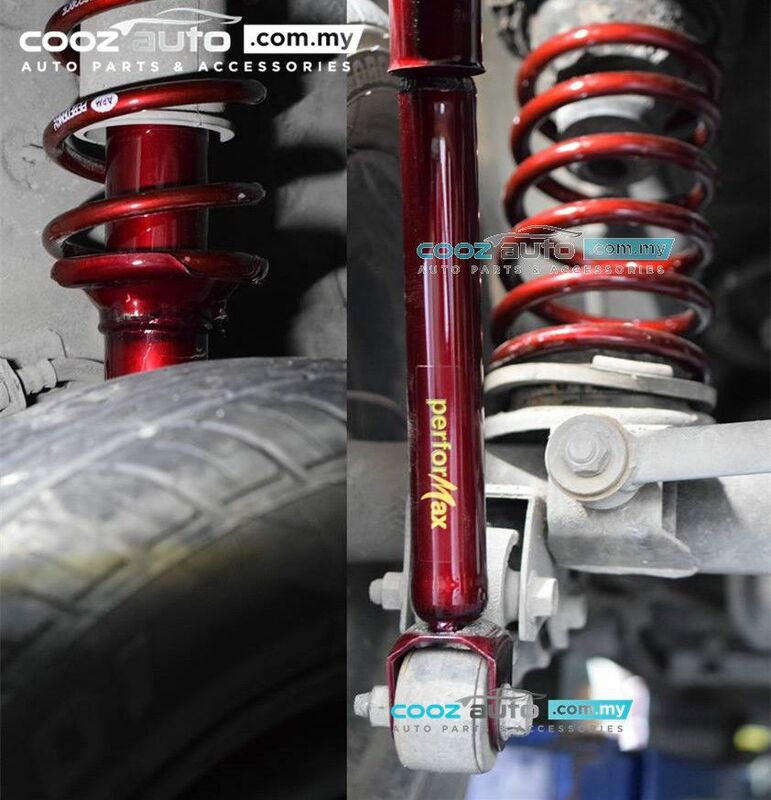 With more than twenty years experience in suspension manufacturing technology. APM PerforMax Shock Absobers are manufactured with the latest Japanese Valving Technology. 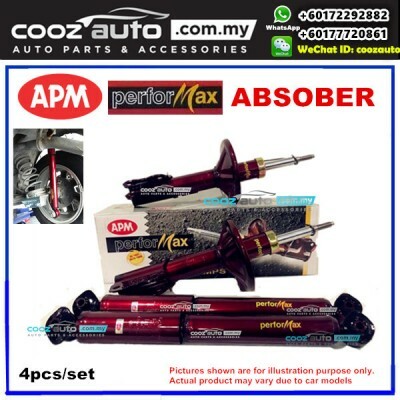 With APM PerforMax value for money Shock Absorbers you can now achieve a smoother, comfortable and luxurious ride. 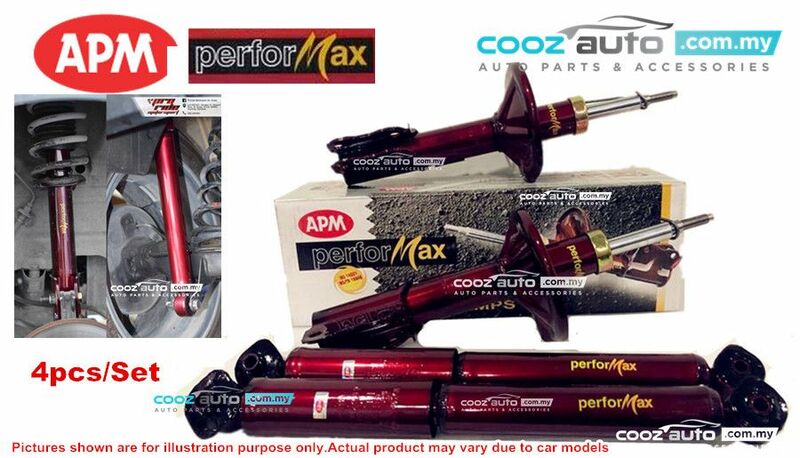 Shock absorbers are attached to the vehicle body and suspension components. They are used to absorb road shock, providing a smooth ride. 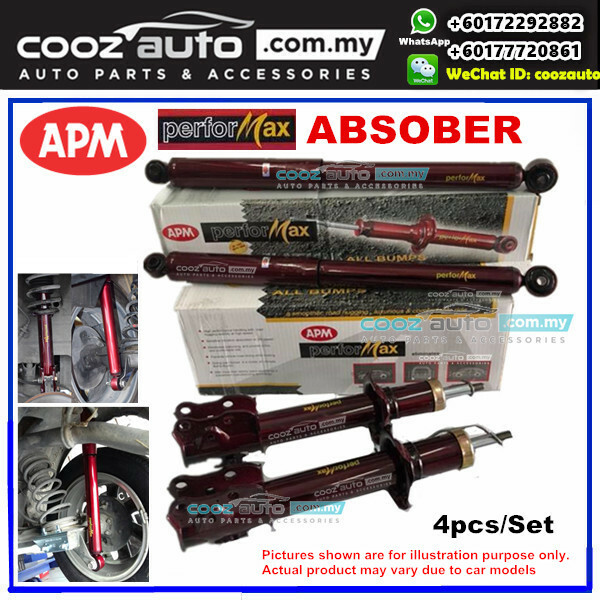 Shock absorbers are basically cylindrical containers filled with gas or liquid. 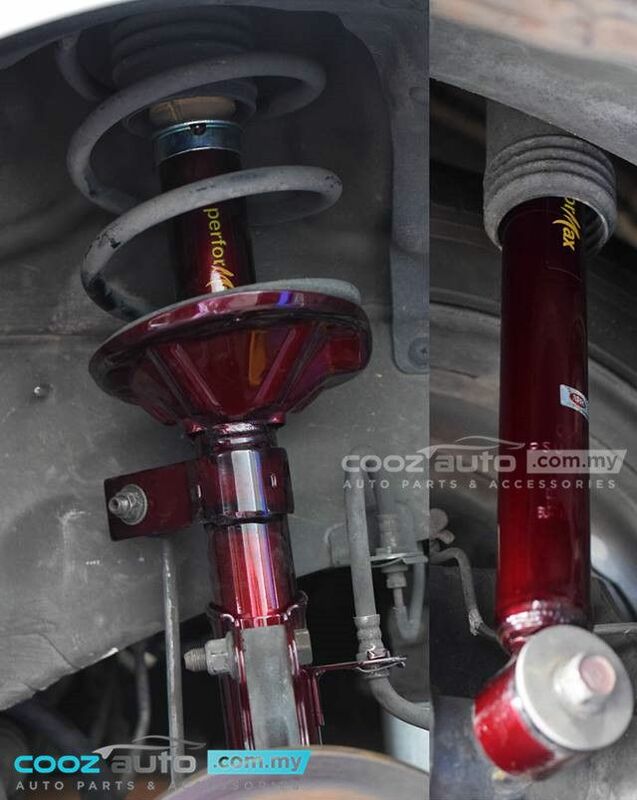 They are mounted from the suspension to the frame of the car. When you drive over a bump, the pistons inside the shocks move up and down against the liquid or gas. 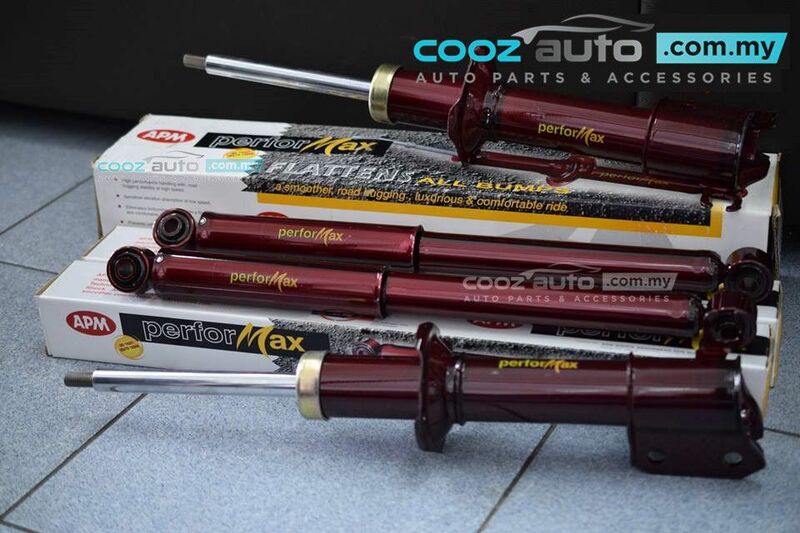 Shock absorbers take a beating day after day, especially on bumpy roads. The gas or liquid will eventually leak, resulting in an unstable or rugged ride. With worn shock absorbers, it is possible that the tires could lose contact with the road and/or wear out prematurely.